“In wine is the truth” the ancient used to say and to us, quality does not lie. 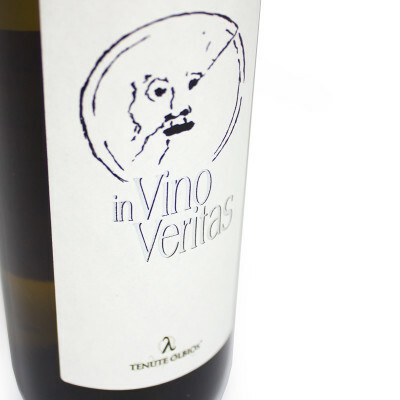 Vino Veritas is a white wine of Controlled Denomination of Origin that comes from Vermentino grapes in purity. 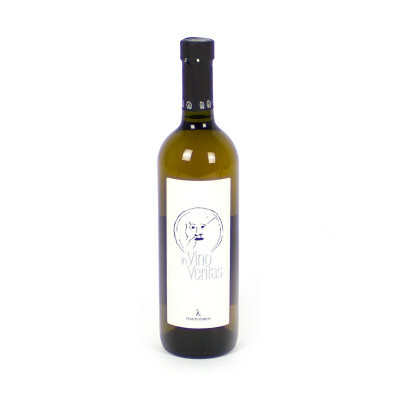 Full-bodied and important wine resulting from a long aging that aims to constant research that our cellar loves to do on Vermentino to catch and extract its multiple qualities. This wine, produced in a limited amount of bottles comes from a grape harvesting of a circumscribed area of our vineyards, characterised by an extremely sandy territory, not well-irrigated and exposed to the north-westerly wind. This gave the possibility of a healthy and natural overripe of the clusters on the plant and high concentrations of aromas and perfumes. From the beginning, we decided to reserve this batch for our connoisseurs. The long aging has been necessary to obtain a white wine evolved and intact, very structured and long-lived. Vermentino 100%. (No animal products are used at any stage of the production and Tenute Olbios wines are 100% Vegan). IT MAY CONTAIN SULPHITES. Abv 14.5%. This full bodied and structured white wine accompanies well elaborate meals and complex flavors. It matches perfectly with a cheese board, in particular mature and blue cheese, at the and of the meal. Other pairings are with "arrosticini" (sheep/lamb meat skewers); smoked eel; grilled tuna steak with sesame seeds; crostini with burrata and anchovies; cheese (gorgonzola, stilton, Roquefort).